With Chinese New Year finally upon us this coming week, we decided to pull together a list of parties to attend in the event that you're short of plans. 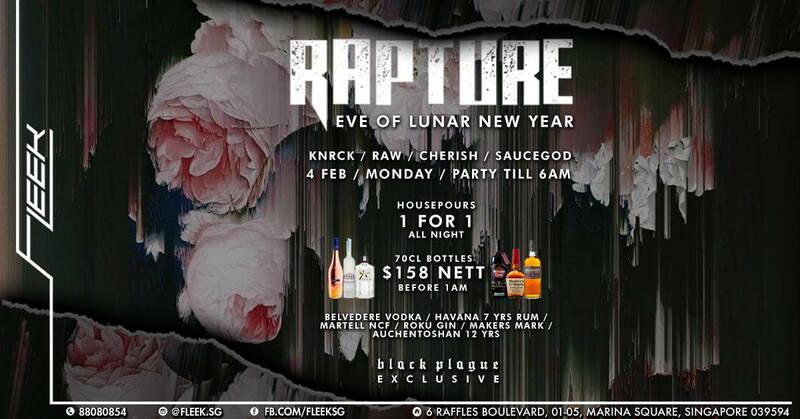 In the auspicious spirit of Chinese New Year, here are eight of the best parties going down this Lunar New Year. 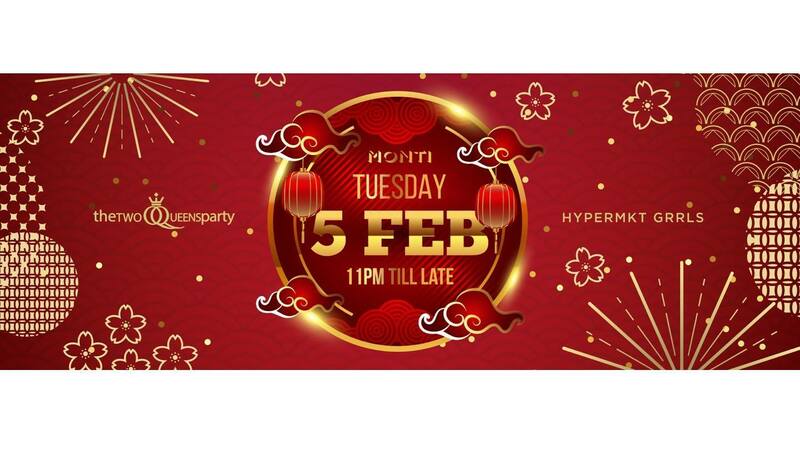 Set to take place at the spectacular MONTI in The Fullerton Pavilion, party-goers will enter the Chinese New Year unlike ever before, with a breath-taking view of this year's fireworks display. 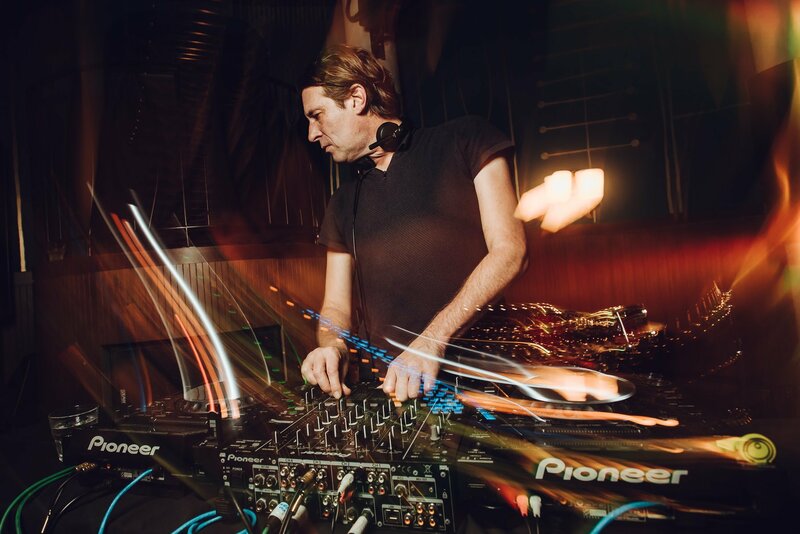 To make things better, MONTI resident DJ will be throwing down sick beats all night from a multitude of genres, from progressive house to era-defining jams. 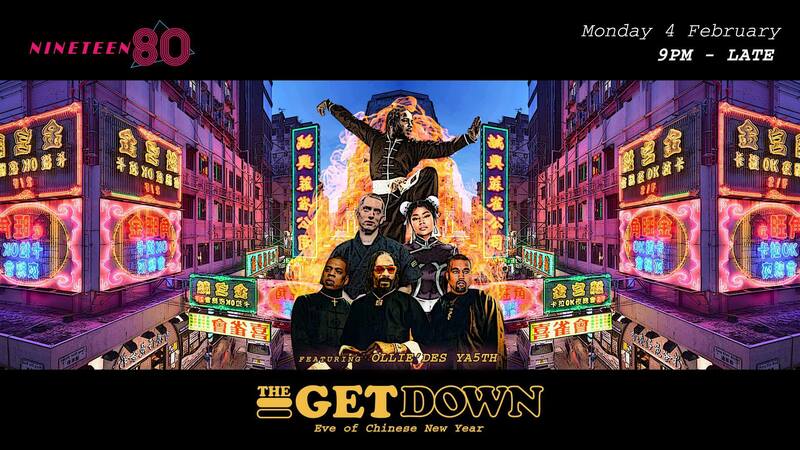 Back by popular demand, NINETEEN80's popular hip-hop themed party, The Get Down, returns for a Chinese New Year special unlike any other. Featuring the best hip-hop tracks from over the decades, The Get Down will take party-goers on a trip from the past to the present. You're not going to want to miss this. Yet another hip-hop only party, Fleek looks to up the ante with four resident DJs KNRCK, RAW, CHERISH and SAUCEGOD, who will be bringing back the classics with the new era of rap music, blending the two seamlessly for a night of epic proportions. 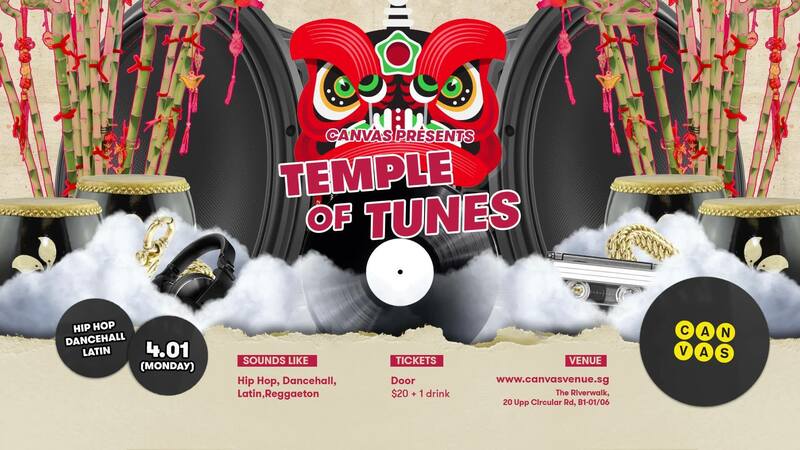 Be transported to another world with Canvas' Temple of Tunes this Chinese New Year with a slew of different genres to cater to everyone partying the night away. Sway to the latest and hottest hip-hop, dancehall and Latin tunes. 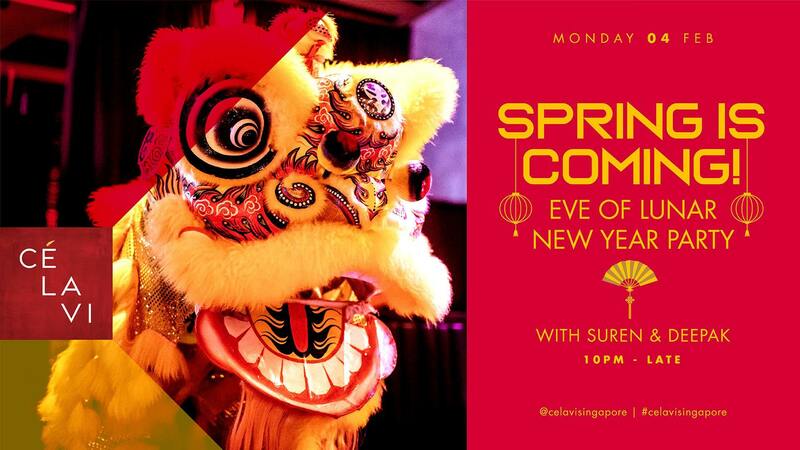 Welcome the Year of the Pig with an open format DJ set from two of the best in the business, Suren and Deepak. With two veterans helming the decks, expect a mixture of different genres from all corners of the Earth. Wan returns with a Chinese New Year special headlined by local rising talent Caden. 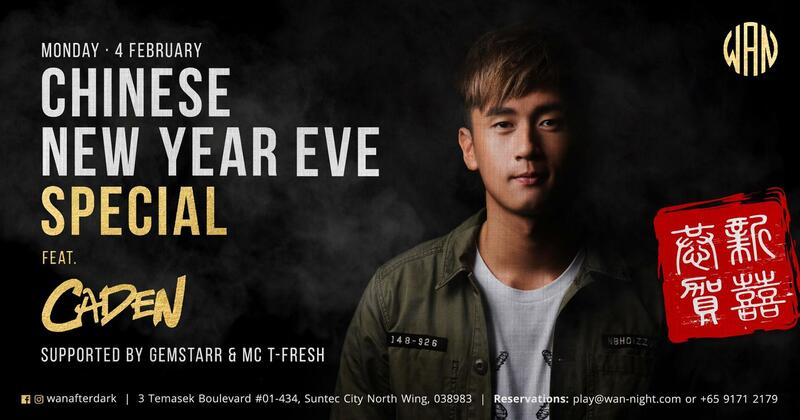 Since being crowned the first Sentosa DJ Spin-off Champion in 2015, Caden has been honing his craft to push the turntablism culture in Singapore. Caden will be supported by Gemstarr and MC T-Fresh. Return to MONTI for the first day of Chinese New Year for a special party with Two Queens. Known for its celebration of Drag Queens, the party will feature MONTI's respected resident DJs with appearances from MC Nara and Drag Queen Yeastmonster. East meets West at Get Juiced this Chinese New Year. 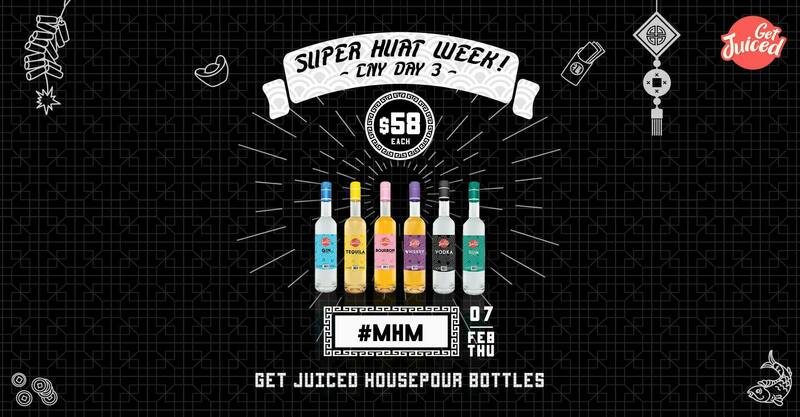 The only CNY party in this list to play manyao music at its parties, Get Juiced will combine manyoa, hip-hop and mash-ups, making the night one to remember.